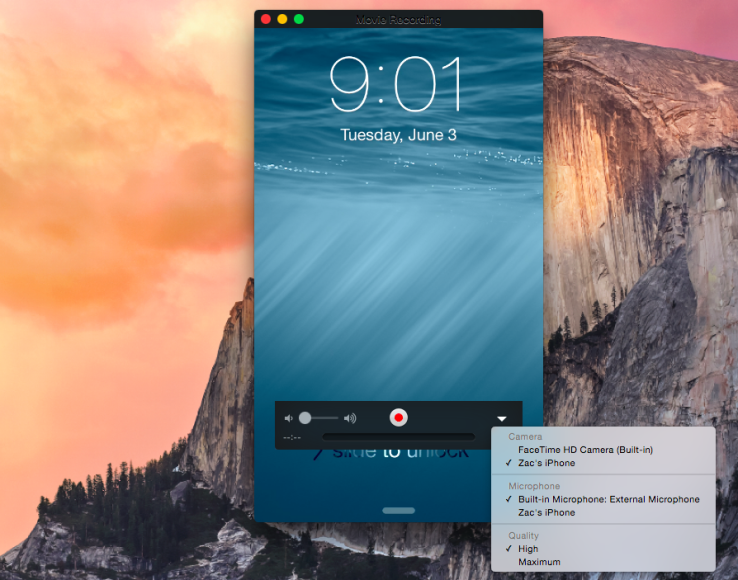 OS X Yosemite brought support for recording iPhone/iPad screen natively without having to using AirPlay applications like AirServer or Reflector. How do I record the iPhone screen on macOS ? Not the answer you're looking for? Browse other questions tagged macos iphone ipad yosemite . How can I record video of the iPhone screen without jailbreaking the phone? How can I record my iPhone's screen? How to record a screen film of an iPad? Is there a way to record my iPad screen for free?